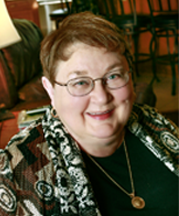 A registered nurse of over 40 years, LaDonna has experience in a variety of clinical settings. She co-founded the Adult Day Care of Richmond, IN and served as co-director there for nine years. She is a two term past President of the Indiana Association of Adult Day Services and continues to mentor and coach multiple adult day service centers in Indiana. She has served on the National Adult Day Service Association’s Education and Outreach committee and contributed to revisions of NADSA’s, “Training the Program Assistant in Adult Day Services” curriculum as well as most recent revisions to, “Standards and Guidelines for Adult Day Services”. She was appointed to serve on the Indiana Governor’s Task Force on Alzheimer’s Disease and Related Disorders from 2001-2004, serving as Chairperson in 2003-2004. Ms. Jensen is the co-recipient of the 2010 National Adult Day Services Association’s Ruth Von Behren Award in recognition of personal achievements and commitment of individuals in the field of adult day services who have had a national impact on adult day services. She received the 1990 Distinguished Leadership Award from the National Association for Community Leadership and in 1997 a Lifetime Achievement in Nursing Award from Indiana University East School of Nursing.